This guide will help you install SO Super Category step by step. Firstly, you need to UNZIP file that you have downloaded . Class Suffix – Allow you to choose another CSS class that suits your module. 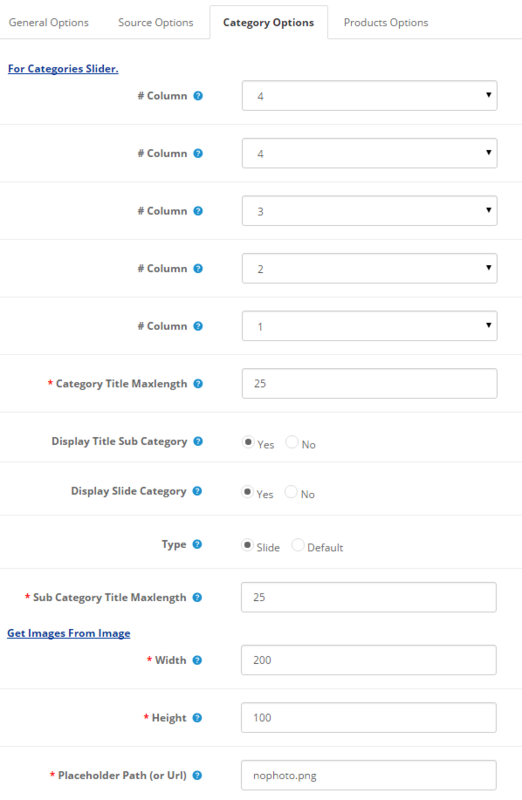 Category – Allow to choose categories which you want to show. Field to show tabs – Allow to choose field to show tabs. Field Preload – Allow to choose Field Preload: name/model. Ordering Direction – Allow to select ordering direction: Ascending/Descending. Display Title Sub Category – Allow to display Title Sub Category or not. Display Slide Category – Allow to display Slide Categor OR not. Type – Allow to choose type show Category: Slide/default . Placeholder Path (or Url) – The path or URL of Default Image.. Type Show – Allow to choose type show: Slider/Load More . Rows – Allow to enter Number rows . Display Title – Allow to display title of product OR not. Title Maxlength – Max length of title by characters. Enter value 0 if you want to show all. Please enter integer number >= 0. Description Maxlength – Max length of description by characters. Enter value 0 if you want to show all. Please enter integer number >= 0. Display Price – Allow to show price or not. 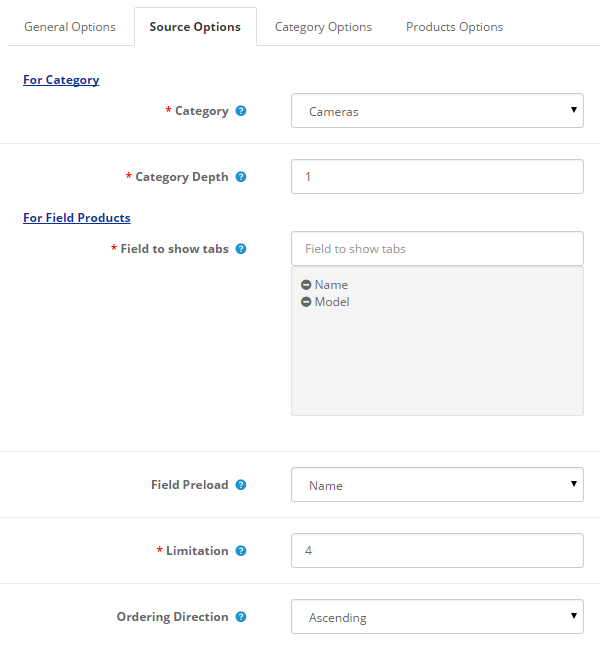 Display add to cart – Allow to show/hide add to cart button. Display wishlist – Allow to show add to wishlist or not. Display compare – Allow to show add to compare or not. Product Image – Allow to display Product Image or Not. Get Image From Tab Data – Allow to get image product from tab data image . 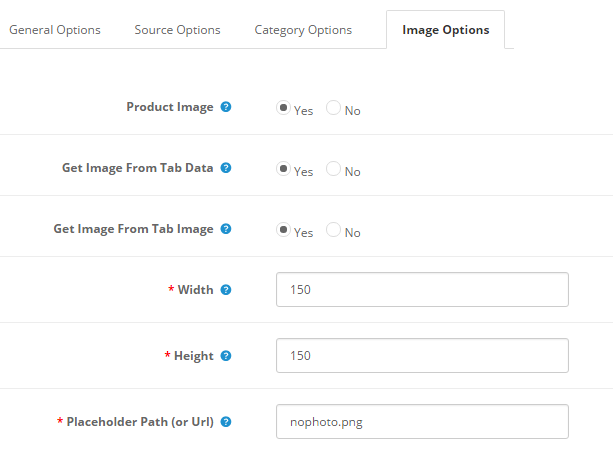 Get Image From Tab Image – Allow to get image product from tab image . Effect – Allow to choose the effect for the module. 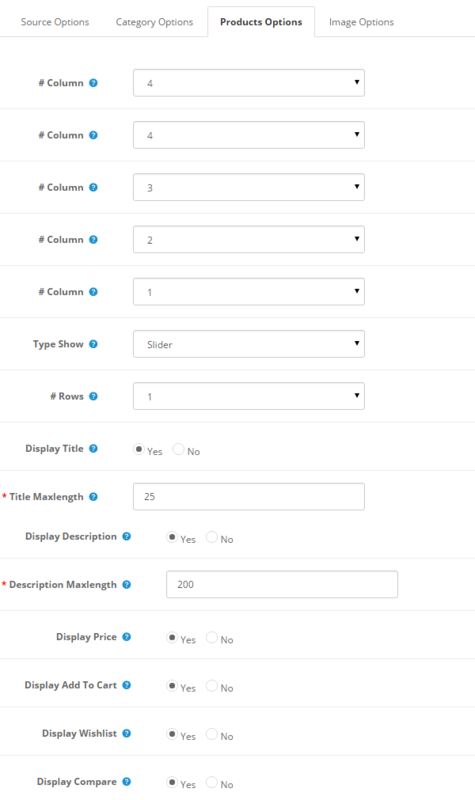 Center – Allow to display item center or not. Display Navigation – Allow to show/hide navigation for slider. Display Loop – Allow to display Loop or Not. Margin Right Subcategory – Allow to enter margin-right on Subcategory (px). SlideBy Subcategory – Navigation slide by x. page string can be set to slide by page. Auto Play – Allow to Enable/Disable autoplay mode. Auto Hover Pause – Allow slideshow effect stop when hover OR NOT . Start Position Subcategory – Allow to Start position or URL Hash string like #id. Mouse Drag – Allow to Enable/Disable the mouse drag OR not. Touch Drag – Allow to set the touch drag on the smart devices OR not.